All of our attorneys are experienced civil litigators, who have earned reputations for zealous, ethical representation that achieves results. We regularly handle matters in the state and federal courts throughout Oklahoma and western Arkansas, and we have served as coordinating counsel for matters in numerous other jurisdictions across the country. Our track record includes successful outcomes in matters involving contract disputes, commercial matters, business torts, personal injury and wrongful death, product liability, toxic torts, labor and employment claims, construction disputes, debt collection, foreclosures, trucking and surface transportation, architect and engineer professional liability, and family law matters. Our skills have been tested and proven in negotiation, mediation, arbitration, administrative tribunals, trial courts and at the appellate level. Few attorneys are truly competent to handle complex litigation. We are. We have and are representing clients facing liability into the $100s of millions. Our clients came to us to handle these cases due to our ability to achieve results intelligently and efficiently, while managing and tracking potentially massive amounts of information and evidence. Our successes include the defeat of multiple attempted class actions and a number of multi-plaintiff mass tort claims. 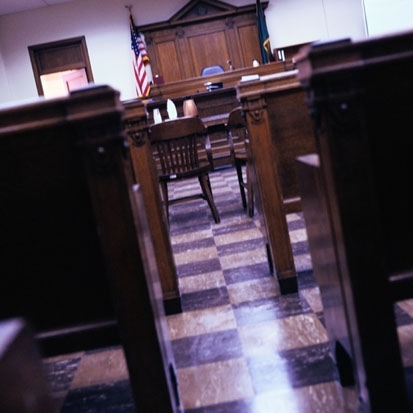 Although we are confident in litigation settings, being in the courtroom is often not in a client’s best interest. Hence, our approach is to assist our clients in avoiding litigation whenever feasible. We accomplish this by working closely with our clients to explore the potential for negotiated solutions and alternative processes, both at the outset and throughout the duration of a disputed matter. Parties who find themselves in a civil dispute often retain us directly, but we also regularly work for and with insurance carriers to ensure that their insured clients receive a superior quality defense within a manageable budget.